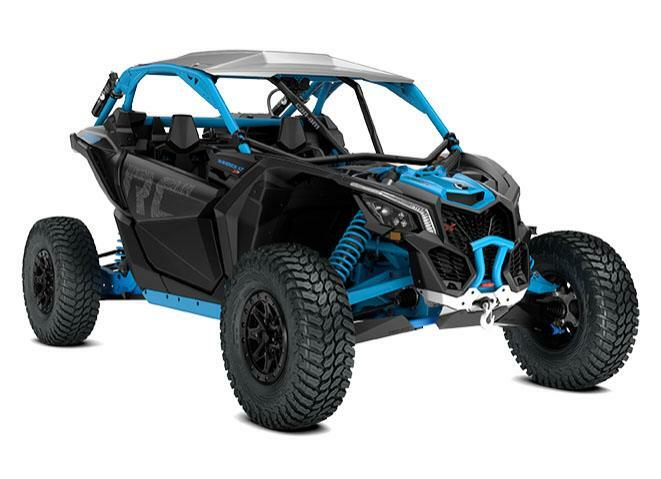 It's time to put test your mettle and finally conquer the last mile: the Maverick X3 X rc Turbo R is the latest rock-crawling side-by-side vehicle with the performance and control to crawl over obstacles and leave rivals at the bottom of the heap. 72 IN. WIDTH OF ULTIMATE PERFORMANCE: How far will our engineers push the envelope? At 72 in. of width, the X3 X rc Turbo R maximizes its race-winning geometry with high-performance suspension, wheels, and tires chosen to deliver complete control. If you’re craving a blast across wide-open terrain and routinely put stability to the test, this is the setup for you. INDUSTRY LEADING 172 HP TURBOCHARGED AND INTERCOOLED ROTAX® ACE ENGINE: Meet the king of side-by-side engines, the precision-engineered, industry-leading triple-cylinder Rotax ACE engine. Its 172 horsepower at 7,250 rpm and 124 ft. lb. of torque at 6,500 rpm give searing speed, no matter the terrain. Tell your friends: 0-60 MPH in just 4.4 seconds. 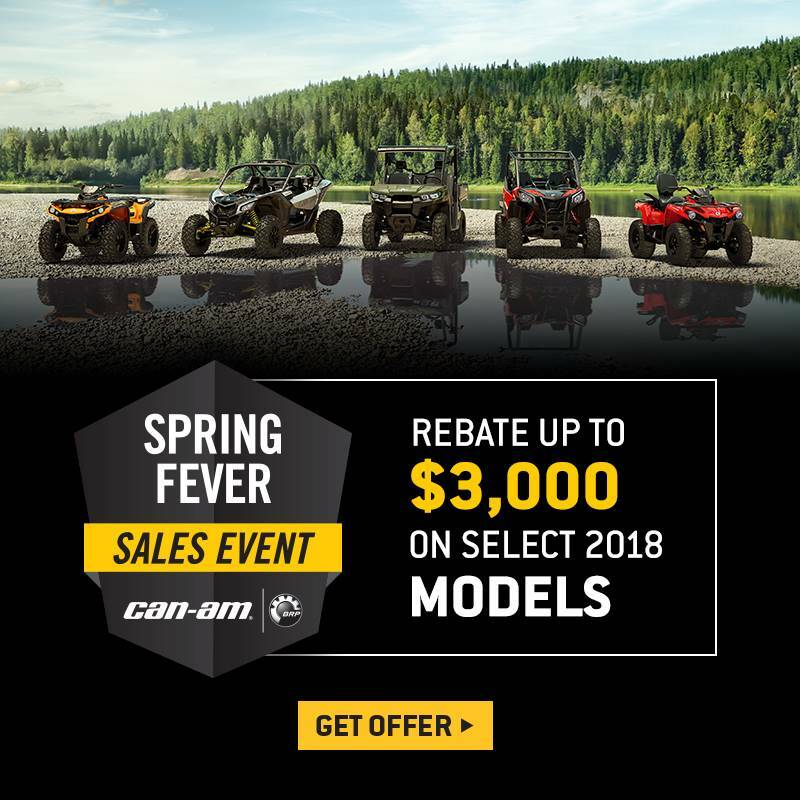 LOCKABLE FRONT DIFFERENTIAL: For next-level traction to conquer the roughest terrain, Can-Am-exclusive Smart-Lok™ technology is the new benchmark. A true full lockable on-the-fly front differential with electronically-controlled automatic modes, or with the simple press of a button that offers preset, intelligent calibrations for your type of riding. Using multiple input sources, "Smart mode” will instantaneously engage locking with the right load at the right moment. Never before have riders been given maximum traction while retaining low-speed maneuverability, allowing optimal placement and a feeling of confidence that allows for the Maverick X3 X rc Turbo R to be unleashed sooner than ever. TTX SUSPENSION WITH INDUSTRY-LEADING TRAVEL AND ARCHED LOWER LINKS: BRP's four-link TTX suspension with 24 in. of travel features a trophy truck-like trailing arm and three links dedicated to controlling camber while delivering optimal geometry at all times, even during extended wheel travel. The result? Unparalleled power transfer to wheels, virtually no bump steer, precise steering response, and more confidence at higher speeds. RACE-INSPIRED PROTECTION: Retractable 4-point harness, standard. Half doors and aluminum roof, standard. The front and rear tow anchors and front intrusion bar are also standard, for the most complete protection when exploring and bouldering at the limit. TRADEMARK CAN-AM DNA WITH NEXT GENERATION DESIGN: The Maverick X3's intensity comes from a mix of performance-driven mechanical and structural design, from its signature LEDs to its advanced cockpit. Here, designers have selected a futuristic bright blue as the hero color for the Maverick X3 X rc Turbo R.
HIGHLY RESPONSIVE 30 IN. MAXXIS LIBERTY TIRES: Considering the other improvements to the Maverick, the latest 30 in. Maxxis Liberty Tires on 14 in. aluminum beadlock rims could be seen as a minor upgrade, but their aggressive tread and rugged construction are the key to pushing the X3's capabilities further than ever on very rough ground. FULLY ADJUSTABLE FOX 3.0 PODIUM RC2 REMOTE RESERVOIR SHOCKS WITH BYPASS: The Maverick X3 X rs is equipped with fully-adjustable FOX 2.5 Podium RC2 PHG Piggyback shocks with bypass and dual-speed compression and rebound (front), and class-leading FOX 3.0 Podium RC2 HPG shocks with remote reservoir with bypass and dual-speed compression and rebound (rear) for ultra-precise performance. HIGH MOLECULAR WEIGHT SKID PLATES FOR MAXIMUM PROTECTION: With a full compliment of Heavy-Duty protection gear, from HMW skid plate to UHMW rock sliders, to differential HMW protection and HMW suspension armor, the X rc Turbo R has overbuilt HMW parts where you need them most. HIGH-PERFORMANCE WINCH: An 4,500 lb. (2,041 kg) winch with synthetic rope positioned on the front bumper gives the X rc the power to pull itself—and your rivals—out of tough terrain.